Last week, a Redditor by the name of allattention made the following animated map, plotting both the GDP growth for the world in the timeline and the yearly GDP change per capita in all the countries. The data shown runs from 1961 until 2016 and was extracted from the World Bank. The GIF shown is only thirteen seconds long, and shows just how destructive the 2009 financial crash was. Moreover, in the full animation, data from the Russia Federation and most of Eastern Europe is only shown from 1994 onwards, since the data brought out from the CCCP was not trusted. The entire animation can be found here. Government debts in sub-Saharan Africa are starting to pile up once more. Debt was a huge issue on the majority of the African continent in the 90s and early 2000s, however, according to The Economist, some of these debts were waved away by institutions as the World Bank, IMF and the African Development Bank. From 2006 on to 2012, the now lowered debts largely remained the same, supported by fresh credit and new economic policies. This led to an average debt-of-GDP of 30% in sub-Saharan Africa for 2012. However, in the last few years we see a rise in these debts, and although these numbers don’t seem high, African countries in general collect fewer taxes, while also paying higher interest rates. This means that it is harder for these countries to lend money, and if they do, they pay higher interest rates. The End of Austerity in the UK? 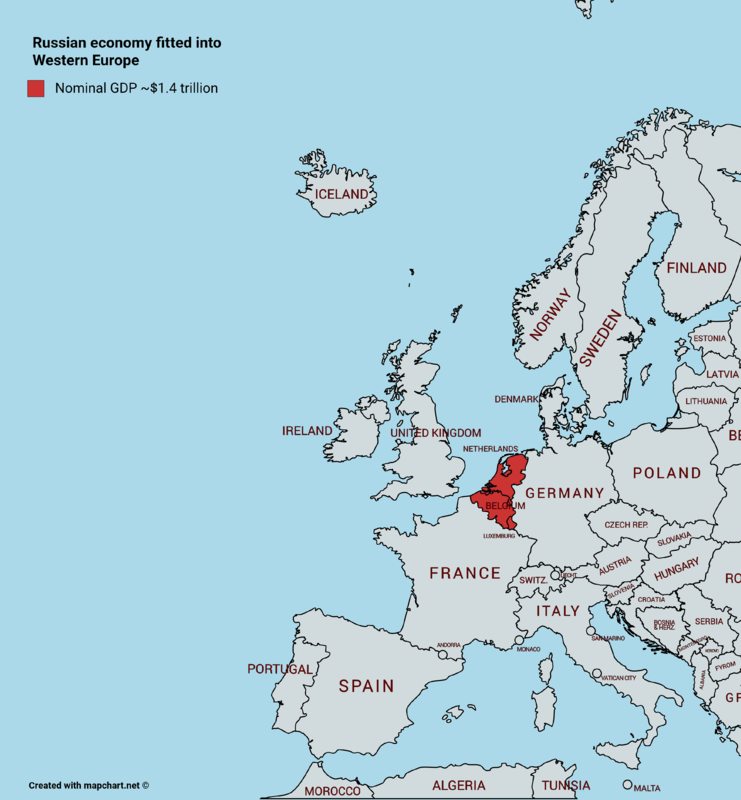 Russia Fits into the Benelux?